C.J. Harris and Company was founded and began formal practice on October 25, 1981. As M&A Brokers, Certified Business Brokers, and Advisors the firm is a market-oriented business intermediary advisory and consulting firm serving the small and middle business markets. The firm's services include mergers, acquisitions, general business brokerage, business evaluations, management consulting, and debt capital placement. As M&A Brokers, Business Brokers and Advisors C.J. Harris and Company primarily serves business owners in the Mid-Atlantic and the Southeastern United States. The company is a part of and maintains strategic, tactical global M&A and business brokerage relationships and alliances. 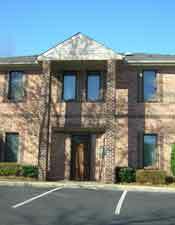 The firm is located in Raleigh, North Carolina.